Emergencies are inevitable, and so should be help. In an era when financial institutions take forever to process loans, CASHe, is striving to achieve the opposite. 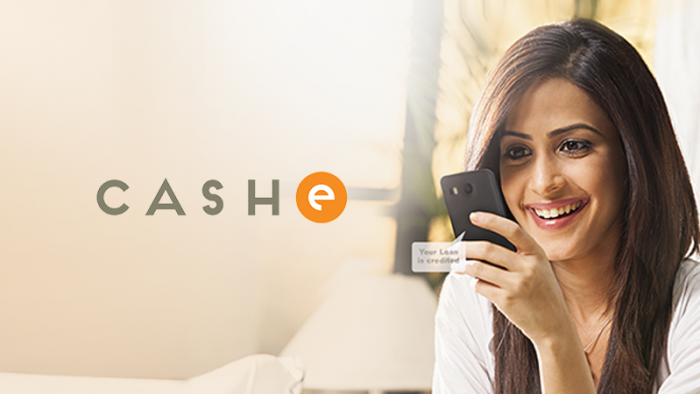 For timely EMI payments or squaring monthly bills, or meeting a medical or financial emergency, the power of CASHe is in your smartphone. CASHe is a Bronze Award winner, under the BFSI (Financial Services) category at the Best Social Media Brand awards by Social Samosa. The app lets you avail loans ranging from Rs. 5,000 to Rs. 100,000 for 15, 30 or 90 days based on your need. One requires a salary slip, bank statement, PAN card & address proof clicked on a self-signed white paper and uploaded through CASHe app for a quick loan in their accounts. CASHe uses a highly evolved credit ranking system backed up with BIG Data Analytics, Artificial Intelligence and predictive tools to calculate the Social Loan Quotient (SLQ) of customers. The feature takes into account a number of data points including mobile and social media footprint, education, monthly salary and career experience. The dynamic nature of this algorithm defies the conventional means of credit risk calculation and presents a comprehensive picture which relies on multiple factors. CASHe’s first campaign was #CashGivingApp, wherein the brand shared their core functioning and benefits. Sharing humorous sketches of routine life of a young adult, the #CashGivingApp demonstrated awkward instances of people asking for money from their acquaintances. 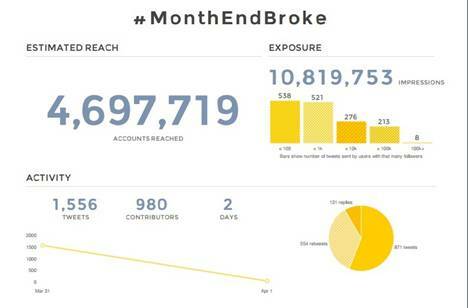 Post launch, a new hashtag #MonthEndBroke was created to create engagement. Captivating digital campaigns were created in the form of GIFs and illustrations. 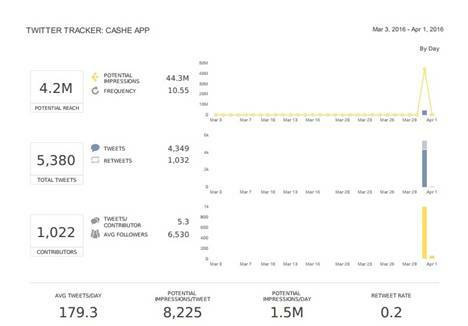 With a reach of 4,697,719 the campaign #MonthEndBroke dominated twitter timelines with unique content. Taking consumer relationship to the next level, CASHe released consumer testimonies on what it means to have cash at when needed. The campaign redefined happiness, one video at a time. celebrating the joy of having cash when you need it the most. The brand has a strong video strategy and communicates with their audience through well-made pieces of video content often. To familiarize their audience with the app, CASHe launched a video that gave a detailed manual of how to use the app. To acknowledge a year of success, the brand initiated an influencer outreach initiative. Inviting bloggers and active CASHe users, the brand celebrated the illustrious journey sharing a vivid view of their performance in the last one year. #CASHeTurnsOne was the hashtag that made its way to Twitter’s trending list with a reach of 1,213,664 and a total impression of 3,935, 237. Over the past one year, CASHe has expanded their footprint all over India in the last one year with 100 Thousand plus downloads of Google Playstore. Cutting edge technology combined with a strong social footprint, this hassle free personal loan app now offers disburses loans up to INR 1 crore per day. Disrupting the fin-tech sector with a dynamic strategy that flows from the product to the core communication for business, CASHe has a long way to go on social media. Ganesh Chaturthi campaigns that ring a bell!